MAD is primarily an all-volunteer organization. It takes thousands of hours and hundreds of people to keep the arts magic alive and well in Midtown Kingston. 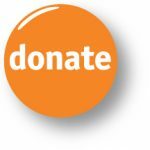 We would appreciate your help with many of the small and large tasks required to keep MAD humming (and painting and clicking camera shutters and making poetry and…) and advocating for the arts! Maybe you love to set up chairs, tables, displays, lighting or hang art on walls? Are you a people person who would enjoy distributing 1st Saturday maps and other printed materials around the City? How about bartending, serving (or making) hors-d’oeuvres or greeting people/manning a merchandise table at MAD events? Do you have computer or data entry skills? How about writing or photography? Are you a production manager or events planner? Would you like to donate materials, supplies and equipment, food, beverages, floral arrangements, frames, printing costs or other business services? MAD needs people like you to do these–and many other tasks–especially when we’re gearing up for an event. We post opportunities here when volunteers are needed, but please subscribe to MAD News or make a donation today to make sure you hear directly from us when volunteers are needed. The MAD guarantee: You’ll get to know some great people, have a lot of fun, learn more about the essential value of the arts to Kingston’s economic and cultural health, AND you will have the satisfaction of knowing you’ve made a difference in your community!